Southampton has returned to the world's top 100 in the QS World University Rankings 2019. The University of Southampton has regained its place amongst the world’s top 100 universities after placing 96th overall in the QS World University Rankings 2019, published today (Wednesday, 6 June). 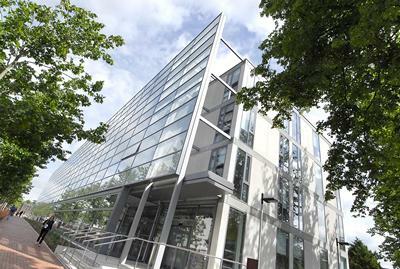 The global top 100 ranking is based on performance indicators focused on excellence in research as well as the University’s global reputation amongst fellow Academics and Employers, where Southampton’s academics have particularly made important strides through their increased visibility and engagement around the world. The improvement marks Southampton’s third rankings rise in the last month after climbing six places to 20th in the latest Complete University Guide, and making a 12-place leap to 23rd in the Guardian University Guide. The University has also been awarded Silver by the Teaching Excellence & Student Outcomes Framework (TEF) Panel, reflecting its focus on delivering a transformative experience that enables and encourages students to excel during their time at the University and to continue their success as graduates throughout their lives. The QS (Quacquarelli Symonds) rankings are based on a range of indicators that focus on excellence in teaching and research, the reputation of universities amongst employers and fellow academics, and the international mix of students and staff. Earlier this year, the University placed five subjects amongst the top 50 in the world in the latest QS World Rankings by Subject, led by Nursing at 9th overall. For the first time ever, Southampton also cracked the top 100 in two of the five broad subject areas covered by QS, rising to 95th in both Life Sciences & Medicine and Natural Sciences. Over 70,000 academics and 40,000 employers around the world contributed their views to QS this year, with over 12 million research papers and 75 million citations also reviewed and analysed to measure the impact of the research produced by the universities ranked.